"My father was a WWI pilot and flew with the AEF in France. When WWII was declared, he was transferred from the National Guard to the Air Force and sent to Scott Field, as squadron commander. This probably explains why I thought I could fly." 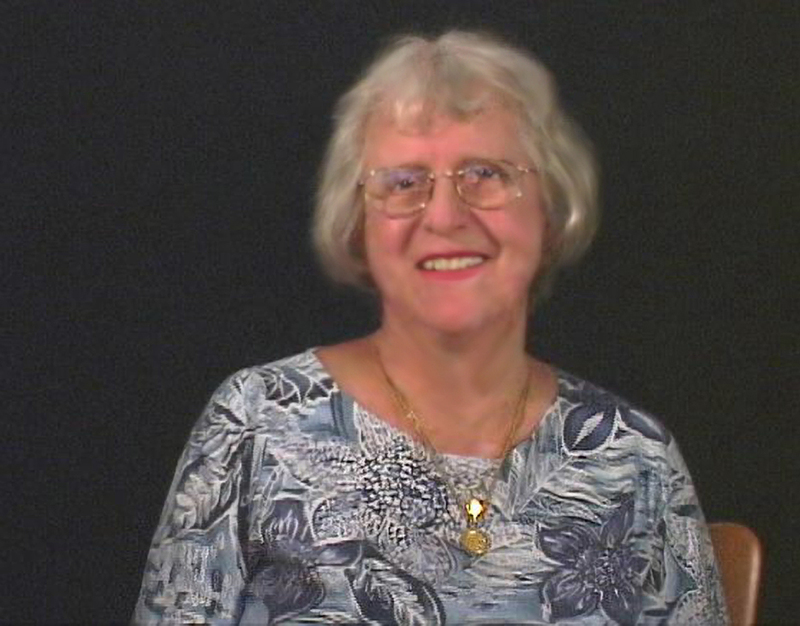 Mary Ann Baldner Gordon, Class 44-9, of Satellite Beach, Florida, passed away on May 27, 2010. Mary Ann was born in Xenia, Ohio, the oldest of three children. Her father, a former military pilot who had served with the American Expeditionary Forces in France during WWI, returned to the family automobile business (Baldner Motor Company) in Zenia, so Mary Ann grew up and attended all twelve years of school there. In early 1941, her father was called up for active duty again, and his family accompanied him to his new assignment as Commander of Company L -- 147th Infantry at Camp Shelby, MS. There Mary Ann worked in the drug store to pay for college in Oxford, Miss, where she was studying to become a fashion designer. However, she dropped out to take care of her ailing mother. Soon after Pearl Harbor, her father was transferred to the United States Air Force and the family followed him to Scott Army Air Force Base, Illinois. It was while her dad, now an Air Force pilot, was the Squadron Commander at Scott Air Force Base, that Mary Ann decided she wanted to learn to fly. 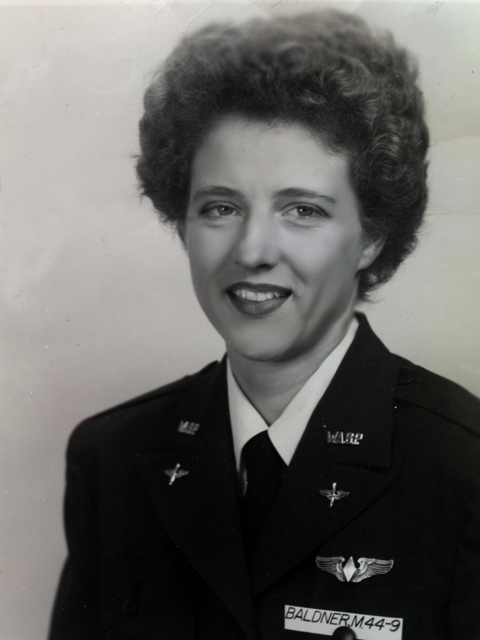 She got a job as a clerk-typist at Scott AFB and took flying lessons at a small civilian field nearby. After learning about the newly created program to teach qualified women pilots to fly military aircraft, as soon as she was qualified, Mary Ann applied for the program. She went by train to Chicago for her personal interview. After she fulfilled all the other requirements, including the physical (the doctor told her to gain a little more weight), she was accepted into the program. She then took the train to Sweetwater, Texas and entered training as a member of Class 44-9 on April 13, 1944. After graduating and becoming a WASP, Mary Ann and a classmate were stationed at Freeman Field, Seymour, Indiana as engineering test pilots. She continued in that job until the WASP were disbanded. As Mary Ann recalled, ‘We were sorry to have it end. When I got orders to be disbanded, I was devastated!’ Nevertheless, on December 20th, she had hung up her Army parachute for the last time, was flown to Scott Air Force Base, and her father met her at the flight line. When her father got orders to be stationed in the Philippines, Mary Ann joined the Red Cross and spent the next eight months entertaining the troops in a club in Fountainbleau, France and in Bavaria, Germany, where, as she recalled, ‘I gave dance lessons, called bingo, and served donuts to the troops’ until she returned to the States. 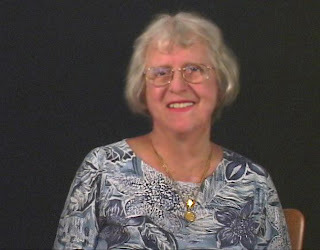 Back home in Xenia, Mary Ann worked at the Institute of Technology at Wright Patterson AFB as an ‘Artist Illustrator’. It was there in 1949 that she met her husband, Capt. Lawrence Gordon, a West Point graduate. Her first date? She laughingly recalled that ‘He took me to bingo!’ They were married in December and lived in Fairborn, Ohio until he graduated from the Air Force’s aeronautical engineering training program in 1950. For the next twenty-nine years Mary Ann was an ‘Air Force Wife’ and lived on many Air Force bases in many places, including Kwajalein Island (where the Gordons set up house in a quonset hut), England, Massachusetts, D.C., Scott Field, and her favorite of them all: Patrick AFB, Florida. Her husband, by that time, was an Air Force General. They were stationed there until he retired. In September, 2009, Mary Ann was presented a copy of the Congressional Gold Medal Bill by her Congressman, Bill Posey, at the Officers’ Club at Patrick Air Force Base, which was attended by her many friends. On March 10, 2010 one of her nieces picked up her Congressional Gold Medal for her in D.C. A photo of the medal and collage of pictures from the ceremony were placed on Mary Ann's bedroom wall where she could see them every time she rolled in and out of the bedroom in her wheel chair. She also received her WASP ‘Illustrated History Of The WASP’ book, so she was able to see her picture and her quote. A memorial service for Mary Ann Baldner Gordon will be held in Indian Harbour Beach, Florida at Beach Funeral Home on June 16 at 2 pm with friends gathering time at 1:00 pm. Mary Ann was preceded in death by her husband, Larry, sister Jane and brother-in-law Larry Davis, sister-in-law Nancy Baldner, and grand nephew Michael McVey. Mary Ann is survived by her younger brother, John, who is also a graduate of West Point and an AF pilot. She is also survived by her 7 nieces: Jane's daughters Debby Haines, Susie Dillon and Becky Lister and John's daughters: Kathy, Laurie, Nancy and Tricia, along with 2 grand nieces and 3 grand nephews, as well as many friends. Facts and quotes taken from the Wings Across America interview with Mary Ann Gordon, April 26, 2003 in her home at Satellite Beach, Florida. We were honored to spend the day with Mary Ann and her husband, BRIGADIER GENERAL LAWRENCE N. GORDON. May their service to America forever be remembered.